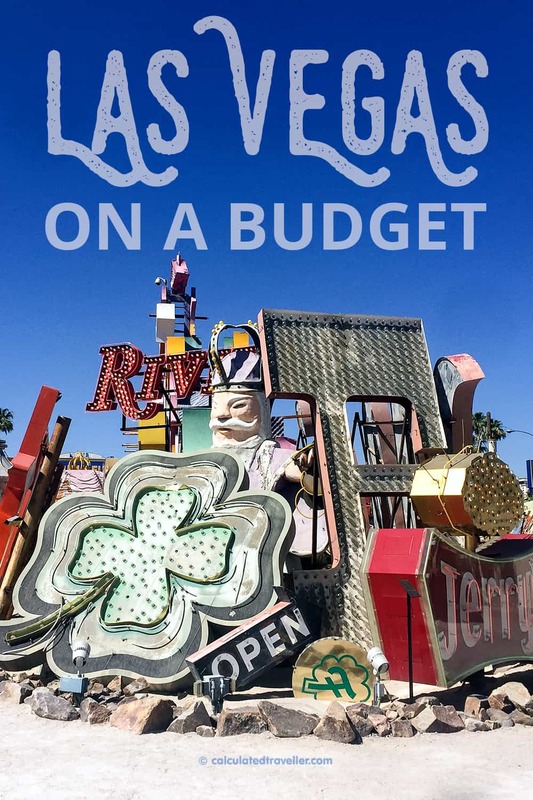 Are you travelling to Las Vegas on a budget? Today’s Las Vegas is much different than when I vacationed there back in the 90’s. 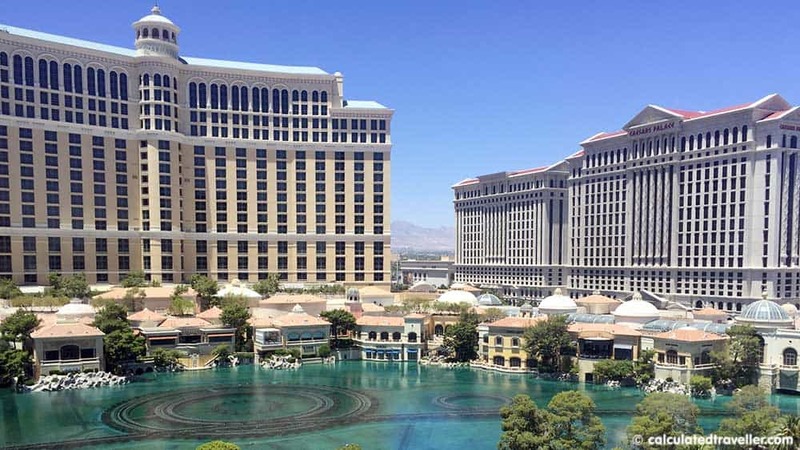 The strip has exploded with luxury hotels, five-star dining and designer shopping. There is so much to see and do in Vegas now making it a world-class destination, but it can be costly! Sure, you can get those $5.99 breakfasts and $9.99 dinner buffets way, way off the strip, but if you want to stay in the midst of everything and you are operating on a budget like we were, you will want to figure out what your budget priorities are. Here are some of my tips on what to save, and what to splurge on when visiting Las Vegas Nevada. 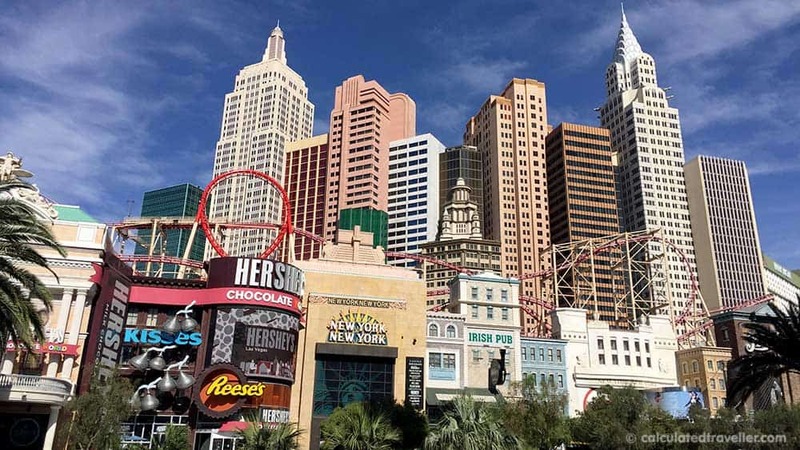 Stratosphere, Circus Circus, and Freemont Hotel are all great choices that will run you under $50 per night most of the year. Find the perfect Las Vegas hotel at the lowest price. Check hotel rates at TripAdvisor! Dinner in Vegas at one of their popular five-star restaurants can easily run $100-$150 for a couple or more, but the same restaurants often offer a lunch menu. I ate an amazing (and filling) lunch at the Eiffel Tower Restaurant for less than $35 complete with pasta, Creme Brulee, a baguette and a cappuccino. This is just a fraction of the dinner price. The prefix lunch at the Stratosphere is $49, about half of what you would pay for dinner, and it still boasts the same amazing Las Vegas views that diners flock to this icon to see. Don’t spend a lot of money at the club or bar on drinks. Be sure to stock up on your fill of free drinks in the casino (make sure you tip!) or get an all you can drink wristband if you are eating at certain buffets and fill up during your meal. For example, at the MGM Grand Buffet, you can add an all you can drink band. I had four drinks which would have cost me at least $20-$30 for only a 9.99 add-on. If you love a bar atmosphere instead, be sure to check out the happy hour specials at your favorite hotspots. Many Vegas bars offer happy hour drink and appetizer specials and even have “reverse happy hours” which happen much later at night for you night owls. The Air Bar at the Stratosphere has an exceptional happy hour with an amazing view and the Foundation Room at House of Blues in Mandalay Bay has a unique vibe and great drink specials. 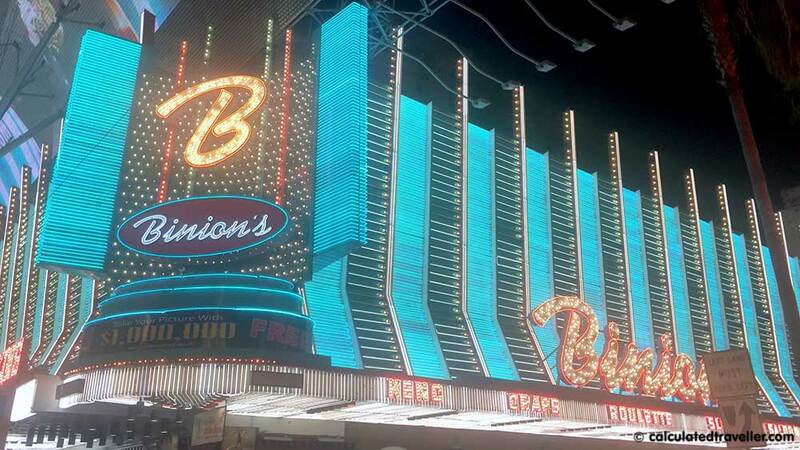 Check out this resource to find a comprehensive list of happy hours on and off the strip. I always believe in spending money on experiences, and Vegas doesn’t disappoint. While you are in Las Vegas catch one of the incredible shows or once in a lifetime scenic tours. Don’t cheat yourself from that experience just because you are on a budget! There are so many tours, shows and activities to do while you are there. Splurge on that hot air balloon ride over the strip, or that helicopter ride to the Grand Canyon, tour the Hoover Dam or take a dinner cruise on Lake Mead. Want to see Criss Angel at the Luxor? Do the things that you want while you are there! You saved money on the hotel and meals, here is where you want to enjoy! Don’t forget, you still don’t have to pay full price on these experiences, stop by your hotel concierge, the visitors centre, or one of the discount ticket stands that dot the strip. Tell them where you want to go and they will do their best to get you discounts on show tickets and tours. Although you may hear the Monorail is the best way to get around Vegas, I beg to differ. If you plan on doing a lot of walking from Casino to Casino and you need to get from a downtown to the strip, I found the most economical and easiest way was to take the Deuce or hop on a Lyft Line, a rideshare with others. It was a great way to meet other people as well. While I was there I used Lyft Line, I saved $4 a trip and most of the time I had the whole car to myself. I used that opportunity to chat to the friendly Lyft drivers and find out their recommendations and get a locals perspective on what to see or do. The monorail may be a good choice for you if you plan on casino hopping from MGM Grand to the stratosphere on the strip. Personally, I loved the other options because you were able to sightsee. The monorail runs behind the strip so you mostly see the backs of buildings. Don’t use a cab when you are there, download your Lyft or Uber app. They are cheaper and you will most likely have a better experience. Another great option is a hop-on-hop off bus tour, Calculated Traveller Mary has been on quite a few of these and recommends them highly. There are a lot of ways to have big fun in Las Vegas on any budget, just make your wish list of the items you don’t want to compromise on and cut corners on things that aren’t as important to you. Planning ahead will let you find the best deals! 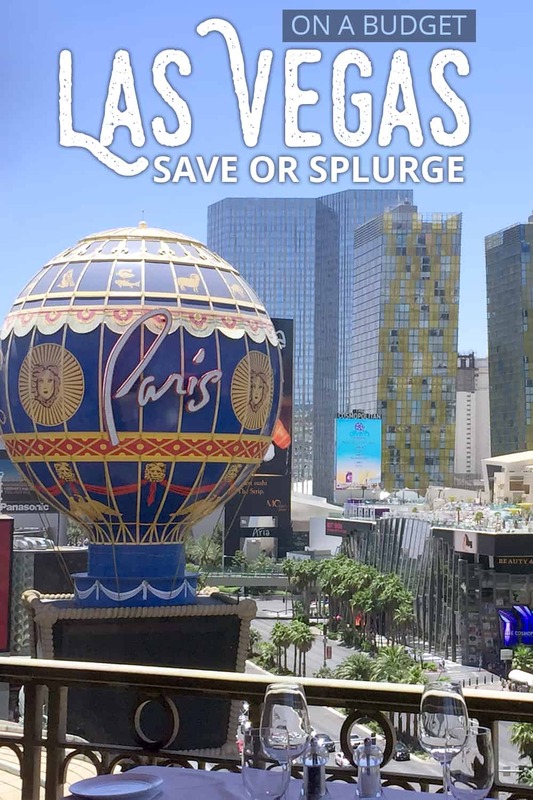 What was your favourite Vegas save or splurge? Looking for other adventures in Las Vegas?